We pray that your ministry will help bring many to a closer relationship with our Savior. And, thank you Bermie, for investing yourself in Anthony‘s life preparing him for this new assignment. 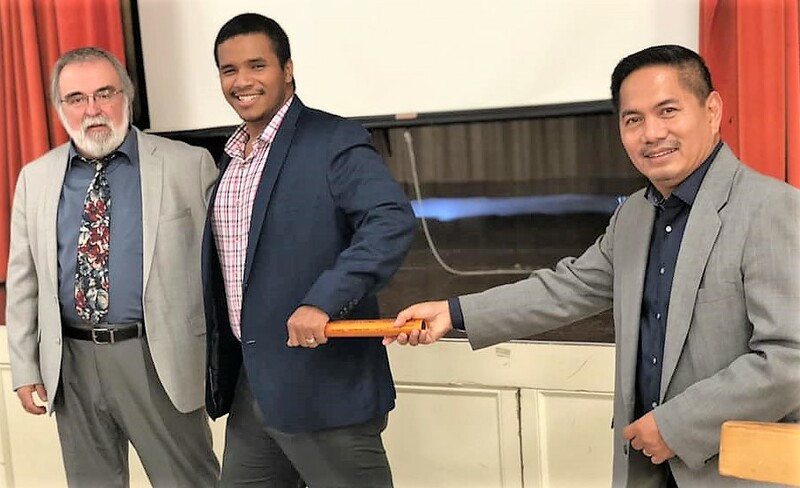 The photo shows that as the baton was passed, there is the Regional Director, Tim Sitterley, who will continue to work with Anthony Walton as the new pastor of the GCI Los Angeles congregation. It was a blessing to be a part of this transition phase. I thank God for the young people who respond to God’s calling. May the Lord guide you and grant you the wisdom and discernment you need in your ministry.